I was at Penn State for recruiting and went on a morning run around campus. The weather was absolutely prefect and my entire body just wanted to run fast! I haven't seen paces like this in a while so it was really encouraging. Lunchtime yoga as usual! I was getting some headaches when we did any poses upside down (like downward facing dog) for long periods of time, so I took it easy for parts of the class. Morning speed workout on the treadmill. I did one mile repeats of gradually picking up the pace, starting at 6.0 and increasing speed .5mph every quarter mile, with a mile cool-down. Ended up being a great workout! 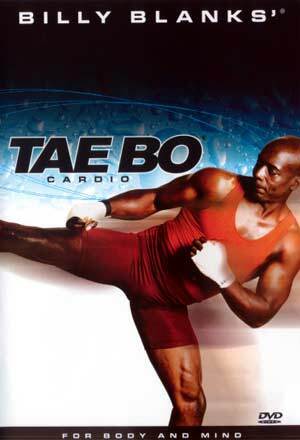 Has anyone else ever done Tae-Bo before? It used to be one of my favorite exercsises to do growing up, and I decided to pull out my old DVD for a workout! If you haven't given it a try, do it. It's really fun! The weather was really weird in the morning and was raining on and off, so I headed out for a quick workout while it was "off". It was really humid out, but nice and breezy. I went around my neighborhood for a hilly and fun run! My legs felt so good on this run, but the weather was awful! There were storms all afternoon, so it was really humid and warm out in the morning. I powered through for my long run, but I wish it was a nicer day! Hopefully race day will have better weather. Dan and I spent the rest of the day picking up furniture and a shed for the house, moving furniture between rooms and cleaning, so by the end of the day I was exhausted! Definitely a productive weekend! What was your best workout this week? Do you like to run at an old school or neighborhood? Ikea- yay or nay? Yay for me! I love it! Way to go on an awesome week of workouts, girl! And cross training too! Great week! I am also loving that new Siam song right now!!!! I've started a linkup for weekly Recaps on my blog, I hope you'll consider joining! ANd yay for a great week! Nice work on the running and cross training last week! Awesome week! Cool that you got to run at Penn State! The weather was wonderful during the week but then of course got crappy for the weekend! Oh well--October is sure to be better...right?! I used to do Tae Bo too! I loved it!! Ahh memories. I love Ikea too. Nice training last week! Those progressive treadmill runs are tough but feel good after. And yes I love Ikea. I am long overdue for an Ikea trip. Ikea is fun - and so is Tae Bo! I used to watch my mom do it when I was a pretty young kid, and I liked to join in (albeit pathetically) :) Awesome runs last week! Great job!! I am looking forward to cooler temps to be outside more.